How cohesive and harmonious is your workplace culture? Does your staff share a unified vision? Are employees on board with the systems you have in place? Do they know they have a voice in your organization? Would you say your company has soul? To ensure the growth and profitability of your business, you must continuously re-evaluate your goals, business model, plan of attack and focus. But that isn’t all you have to think about. Ultimately, your business will not grow well—meaning both profitably and with a happy, connected staff—if your employees cannot recharge, if they are not inspired or if they have hit competence thresholds that leave them unable to deliver at a new level of business complexity, size or performance. Similarly, your “game plan”—the company’s infrastructure, systems and processes—must be regularly reviewed and updated to enable your employees to succeed. Your staff is a team. And the team consists of people in a variety of skilled positions needed to conduct your business and deliver on your brand promise. If your company is to thrive, economically and as a social group, it is vital to bring your staff along with you at every stage, addressing the inevitable gaps that open up between your people and your corporate vision. Off-site staff retreats offer an invaluable opportunity for the whole team to pause, step back from their everyday duties of working “in the business” and gain enough perspective to reflect “on the business” in constructive ways. A successful retreat will not only sharpen your focus and clarify your priorities; it will boost staff morale and benefit your bottom line. Why. Even with good leaders, high-quality staff and an intelligent game plan, a company immersed entirely in the minute-to-minute operations of its business will not achieve its highest potential. Even when profitable, it will limp along carrying quiet symptoms of dysfunction. Who. Corporate retreats are relevant for emerging businesses and veteran companies alike. They are not reserved for larger corporations with cash reserves or for senior management; even mom-and-pop businesses can benefit from them. Many top-performing companies schedule mini leader retreats quarterly and more involved staff retreats annually. However, the smaller your company, the more important a corporate retreat is to your success—and the simpler it will be to block off time away from your daily operations. When. Proactive retreats are the best kind, but in reality, it is often some kind of challenge that ignites companies to recognize the need for on-the-business reflection. Retreats become more obviously valuable opportunities for getting everyone on the same page when a new business launch is imminent; when extra employees need to be integrated to handle growth; or when staff skills must be upgraded in order to achieve key business goals. In times of challenge or crisis, retreats become inevitable. Business plateaus, heavy staff turnover, shifting markets, new competition and, yes, the changes that come with successful growth all demand big-picture attention and all-staff integration. Staff retreats can encourage employees to embrace change and sharpen their skills. But retreats are also a perfect vehicle for team building. There are three essentials of effective teamwork: social cohesion, task cohesion and vision cohesion (see the sidebar “3 Essentials of Effective Teamwork”). Your initial retreats will focus strongly on building a team. Later retreats will strengthen your team, while addressing the challenges of growth (see the sidebar “Staff Retreats: What to Cover” for more details). Initial Retreats: Building a Team. In a fitness company, as in any cooperative group aiming to achieve specific objectives, there are fundamental challenges to perfecting the operational flow and feel within the team. Inherent in these challenges is the composition of your staff. The group is composed of disparate people interrelating from perceptions anchored to different backgrounds, IQs, EQs (emotional intelligence), experiences and cultures. Veteran employees work alongside recent hires, bringing their varying levels of company history to each situation. Moreover, only some aspects of workflow, like upgrading abilities, are teachable; others, like each employee’s fundamental character, are more rooted and resistant to change. Ongoing Retreats: Navigating Change. Combined with the right business model at the right time in the marketplace, effective teamwork will net exciting success. But success and growth bring new challenges and the need for a larger, more mature organization. Roles become more specialized. People need more advanced business acumen. The communication channels required to process the greater workload must flow through a larger business engine. Success netting growth leads to more customer interactions. Sustaining growth requires a more united team, more competent staff, clearer processes and better orchestrated execution. With a bigger staff, more business deliverables and more customers to service, what worked before will no longer suffice. Taking a purposeful pause at each step of growth allows you to review the past; acknowledge and celebrate successes; indentify gaps among people, processes and the company vision; plan for the future; and establish improved “go-forward” guidelines for systems and staff. No Room for Complacency. 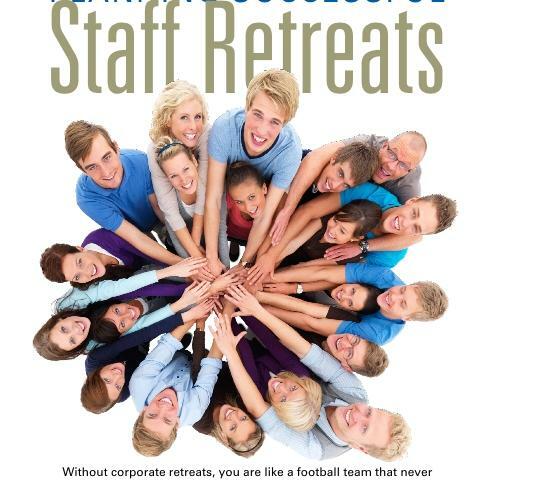 Without corporate retreats, you are like a football team that never huddles, never practices, never plans and does not hold training camps. Your growth will be haphazard and, if unchecked, may lead to an acceleration trap, in which you find yourself struggling to meet ever-increasing demands on your time and resources. Even if you are meeting your goals and have a hard-working, dedicated staff, you should never assume that your team cohesion is at its best. Among your employees there may be a few who feel they are not valued or heard. Unless you regularly update your systems, improve process execution and close gaps between people and vision, staff can become frustrated and hindered in their work by communication flow barriers. Ignored, these grievances will fester, and full-roster unification is the only solution. So keep in mind that team building is a fluid challenge, requiring regular scheduled attention. Outcomes can include not only improvements in staff performance and workplace cohesion but also the way the retreat will make employees feel and how the experience will be imprinted on them afterward. Go off-site. On a larger budget, I have rented a massive log home on Vancouver Island overlooking the ocean for a multiday retreat. On a smaller budget, I might rent a library boardroom, access a vacation property owned by a client or in summer select a quiet outdoor location. The key is to get away from daily demands by securing an off-site venue, controlling the environment and buffering staff from distractions. In general, the more unique the environment, the better it will be for shifting attention away from daily business and personal demands to the open- and creative-minded focus of retreats. Decide whether you will give participants all the retreat details in advance or keep most of them a surprise. On some occasions, we have traveled out of town and, other than knowing what car ferry they should meet and the number of days they would be away, staff knew nothing until events unfolded daily. 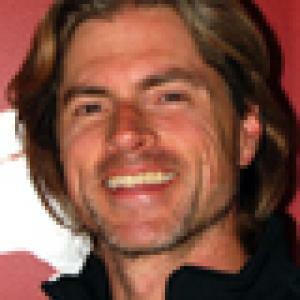 For other retreats, I have asked for employee input on both the location and key areas needing improvement and growth. Decide who will moderate the retreat. You may want to act as the moderator yourself, or you may prefer to hire someone with experience as a facilitator. I have run many staff retreats for Twist Sport Conditioning, but I also serve as an external moderator, hosting retreats for other businesses and sport teams. I have experience setting the stage for corporate meetings and tend to select rainforest, mountain or ocean locations, so these groups hire me to facilitate their cohesion, open a dialogue among participants and deliver a memorable experience. As a former coach with the National Hockey League, I also participated in a team-building retreat for our players. The gathering took place in a classroom, but we selected the resort area of Whistler, British Columbia, as the location so that there could be fun, social, outdoor experiences as well. Settle on the dates and the number of days. Our retreats have ranged from 1 to 5 days, including travel time. Determine what workdays you are willing to sacrifice, if any. Early in the history of Twist Sport Conditioning, I delivered a Saturday-to-Wednesday retreat, shutting down my business for 3 weekdays. The return on investment was huge. Since then, we have grown a great deal, and we now run separate divisional retreats and also a distinct leadership retreat, to pause the company in sections. In addition to your business items, factor in experiences designed to foster trust, disclosure and inclusiveness. The most important part of a retreat is setting the stage to facilitate the interaction needed to move the group successfully to your objective and desired outcomes. Plan some interactive activities (e.g., disclosure exercises, personal sharing and team challenges) to help people feel open, creative, supportive and close (see the sidebar “Example of a Personal-Sharing Activity” for one suggestion). Map out your ideas. It is important that some occur at the beginning, to set the stage for participation in the retreat; however, others can be interspersed throughout the schedule. These activities require an emotional investment and respectful attention by co-workers, so be careful how long they run. Don't leave social cohesion to chance or expect it to be a byproduct of success. Fun, engaging, let-your-hair-down moments can still be very purposeful. Plan ways to include these. Within my company we have skied Whistler Mountain, hiked the Juan de Fuca Marine Trail through rainforest, gone whale watching and snowshoed across mountaintops with amazing views. Each of these adventures featured a pause for a short breakout session in which we gained input from each participant. Your social activities need not be expensive. For example, on some trips we have done theme dinners, with subgroups of employees responsible for picking the type of food (e.g., Italian), selecting and buying the ingredients, cooking the dinner and serving the meal. For fun they could also dress the part, speak the language and play music from their chosen culture. The key with this activity is to make sure it becomes an event, with the host groups investing thought, consideration and effort to provide a good experience for co-workers. Include opportunities for movement. Short respites from the meet-and-talk business agenda or longer outings interspersed with breakout sessions will be key to having fun and staying fresh and attentive. Know your co-workers, and plan regularly scheduled breaks to help them stay alert and enthusiastic. Of course, movement experiences can be social and team-building in nature as well; for example, you might plan a sunset run at the beach, followed by a fire-pit circle to capture the moment and get staff to speak from the heart on why they are in this industry, why this team is important to them and what they will do to help everyone succeed. In this industry especially, movement is key. However, I use movement experiences, such as standup paddling in a fjord, as essential ingredients in retreats that I host for other industries as well. When determining your objectives, don’t underestimate the power of team building. A unified, friendly staff of employees who express passion for your vision will have a positive impact on your customers. Trust, cooperation, openness—elements once viewed as intangibles—can all be orchestrated through your staff retreat. What you net is not an intangible. It is powerful fuel for your business engine. As you begin to plan a staff retreat, keep in focus the three essentials of effective teamwork: social cohesion, task cohesion and vision cohesion. Social Cohesion: A Culture With Soul. The social fabric of your operation—how well your staff gets along, the personal connectivity, friendships, commonalities, the satisfaction of the interpersonal dynamics—can strengthen the framework for your company and contribute to staff continuity. This ultimately impacts customer experience because the foundation of your business—the workplace environment, its energy and its people-centric dynamics—comprises the culture of your business. Company culture is an influential and fluid entity that represents who you are as a team, what you stand for, how you conduct yourselves and how you treat your clients. It will ultimately impact work quality, job satisfaction and enjoyment, and employee retention. It will also assist in defining your brand in the customers' eyes. Task Cohesion: A Finely Tuned Machine. Without a compass for social cohesion and workplace culture, a business has no soul and, hence, little chance of survival. But equally important, especially as your business grows, is cohesion around tasks. Staff buy-in and adherence to systems, along with effective communication, process execution and workflow, are central, not only to success and profitability, but also to the ultimate brand experience at all customer and client touch-points. You desire a feel-good home with a big soul; however, you must also be a finely tuned machine executing processes precisely. And the good news is that the sharper your execution, the better your teamwork, the less frustrating and more enjoyable it is for everyone involved, and the more vibrant your culture becomes. Vision Cohesion: The Big Picture. Each of your employees needs to feel a strong personal connection with the company’s vision and purpose. Connections with co-workers and a belief in the impact the team aspires to make in the community will ignite initial efforts. But business is fluid—as are teams. Pausing to check whether your current-day business model, plan and objectives correlate with your core values and larger vision will help you define a clear roadmap for the journey ahead. Preventing or repairing gaps between people, processes and the company vision requires staff clarity of the vision; adjustments in infrastructure and workflow to enable a smooth path for staff efforts; positive and enthusiastic buy-in to any change required; and full understanding of how exactly each staff member’s role impacts vision achievement. There is much to orchestrate to obtain and sustain vision cohesion.